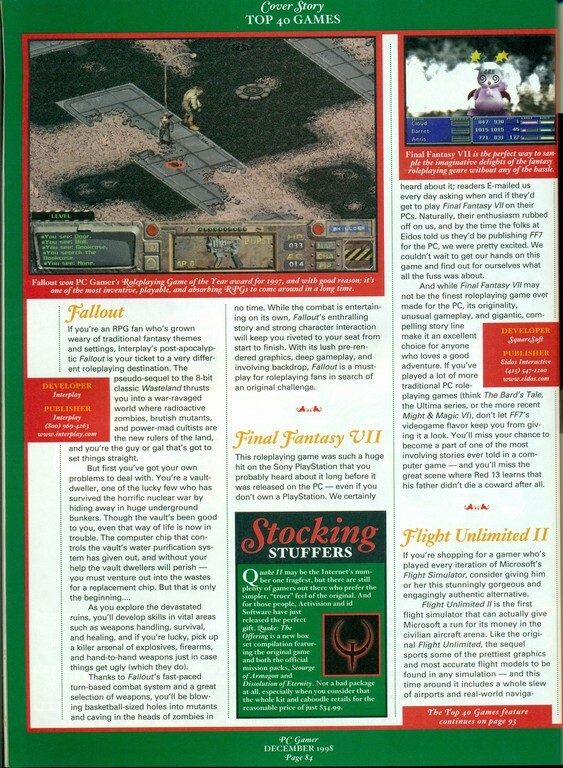 Back in the 90’s magazines were still relevant, and in the case of PC games the best way to research. Sure, there were online resources like Gamespot, but those sites had not yet matured to the level of their print brethren. 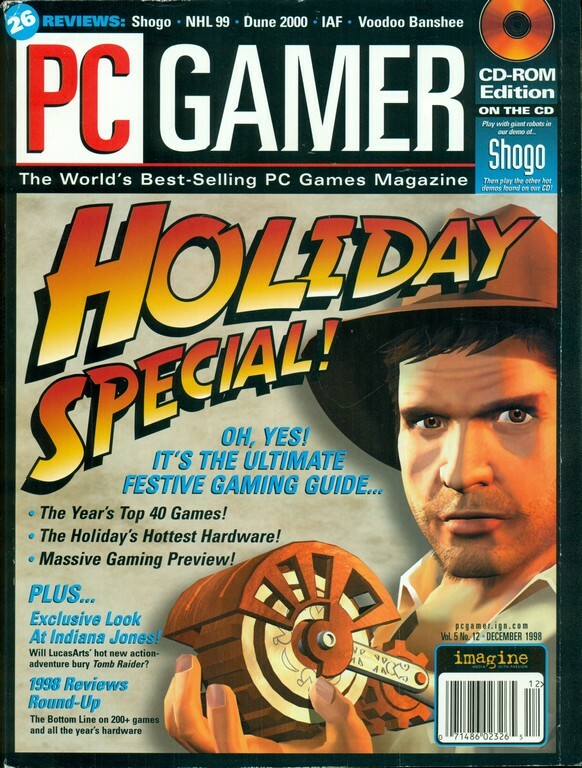 PC Gamer had a yearly holiday issue, I happen to have 1996-1999, these were huge issues, 450+ pages of reviews, previews and columns. And lots of ads. I looked forward to these issues, kind of wish they were publishing in that format (I also miss reading the Computer Shopper). 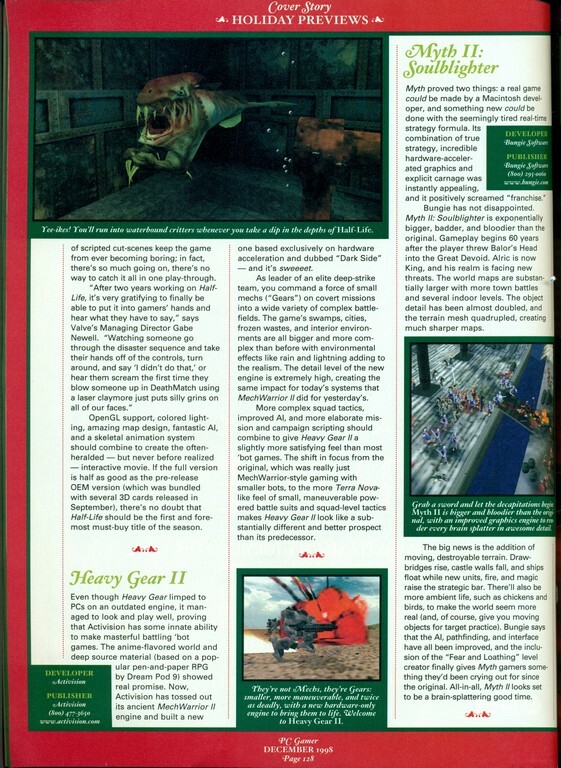 They were a lot of fun to read, and now it’s great to be able to look back at what was considered leading edge. 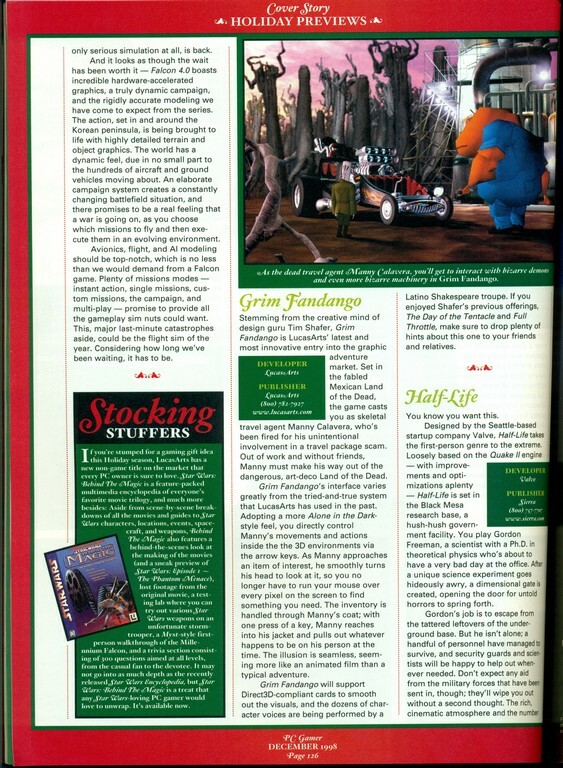 The December 1998 issue had a couple games that were important to me: Fallout and Half-Life.